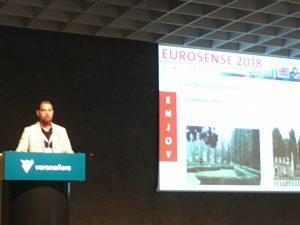 The European Sensory Science Society in collaboration with Elsevier are delighted to announce the call for hosting Eurosense in 2022. Individuals/Organisations who wish to express an interest should contact the E3S secretary secretary@e3sensory.eu in the first instance who will forward information regarding the application process and responsibilities of the host. Notably, potential candidates will be requested to present their bid at the E3S General Assembly in Milan (Italy) on May 27th which precedes the E3S/SISS sensory symposium on the 28th. Thanks for contributing and attending the conference! The European Sensory Science Society and the Italian Sensory Science Society supported a discounted student registration at 100 euro +VAT for the first 100 students who will register to the conference (versus 295 euro + VAT for the student registration rate). The discounted rate can be obtained by selecting the product Registration: DISCOUNT Early Student during the registration process. Discounted registration rate is only available to the first 100 students who register for the conference. The European Sensory Society is pleased to announce that four awards of €1,500 will be given out to PhD students enrolled at Universities in E3S Member countries. 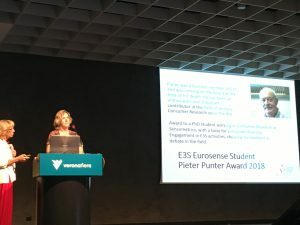 In addition to the traditional three E3S PhD awards, the board of E3S has in fact decided to dedicate a Special Award in memory of Pieter Punter (1947-2017). WE ARE RECRUITING SENSORY SCIENCE STUDENTS TO JOIN THE E3S STUDENT & EARLY STAGE RESEARCHER GROUP! E3S promotes the publication on the E3S website (in the members only area) of PhD theses in Sensory and Consumer Science defended in European Universities since 2012.